May 4, 2017 Real EstateBy DEANknows! 2015 will bring a world of changes into the real estate industry. The remnants, and potentially the most detrimental part, of the Dodd-Frank Act go into effect on Real Estate Title Companies and Mortgage Lenders. The new changes, called TILA-RESPA go into effect on August 1st. What is going to happen to title companies in 2015 may be the most disruptive to the Real Estate Industry. Title Companies have been preparing for an entire re-work of their industry for quite some time now. Title Companies must revamp their entire process for what they do in addition to the physical/technical implementations that will also force them to retrofit their existing buildings. 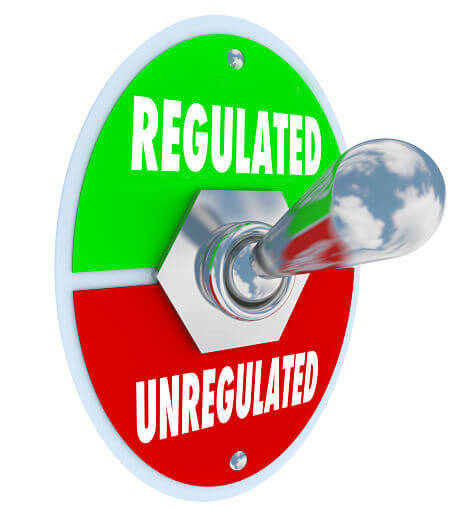 The estimated cost for a Title Company to get into compliance with TILA-RESPA is $250,000.00. You heard that right, by some peoples estimates (not the government) it can cost Title Companies, large and small, two-hundred-and-fifty-thousand dollars each to get into compliance. Remember the last Title Company you did business with, think about how much money they made…How many closings do they need to come up with $250,000? The retrofits include cameras, tinted windows, new technology and a lot more. Granted, this doesn’t have any impact on Title Companies that don’t close any federal loans—-all zero of them. Lenders are looking at a new landscape because of the 3rd Party Vendor Management rules which makes them financially responsible for everyone they do business with. Think about that; a lender that closes with a particular Title Company, which is not in the above mentioned compliance, can be financially responsible for damages. That leads most to believe that they will be vetting everyone they do business with. Some of their partners will increase in business and some will be blacked out. They are already sending corporate people in to inspect some of their business partners. Not only is the rule itself absurd, but forces the lending institutions to implement new costs of doing business. 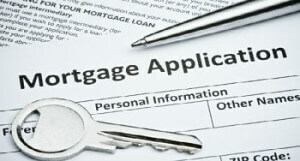 What do you think that does to the affordability of a mortgage? Give yourself 90 days for a closing on the contract but make an addendum that you will attempt to close on ******. Although some states have a curative clause in their contracts for title issues, that may or may not apply to your state/contract/situation. You could also write an automatic extension based off of *********. Point is, expect multiple delays/extensions on closings in 2015. More than you are used to. Anyone who says they know exactly what will happen with Mortgage Rates are lying to you. That being said, most do expect rates to rise slightly to moderately in 2015. Truth is, you have a good chance of that, but ultimately what happens could be picked by a monkey with a dart and dartboard with the same accuracy. The single biggest change in Real Estate Marketing will be a major move to Facebook Marketing. This won’t be posting your listings to your Newsfeed, but the ability to capture Buyers and Sellers. Facebook lets you target advertise using the amazing amount of data that they have on their users. That means you can pick who sees your ad with laser like precision. You can read all about Facebook Marketing for Real Estate right here. Don’t count much on your Facebook Business page being seen anymore, they have put an end to that. If you need assistance with advertising on Facebook, DEAN Knows can help. —There it is…The Shameless Plug! Well, there it is….DEAN Knows overview of what real estate practitioners are looking at in 2015. We could go on and on with a variety of predictions about Zillow, REALTOR.com, MLS’s, The Realty Alliance and much more…but then we’ll save that for another post. Did Zillow Just Announce They Were BUYING Houses? Is The Best Bargain in Real Estate Lead Generation Dying? Search Engine Optimization is critical if you want your website to be found. Having your website rank organically in search engines can be a very cost effective way to market your business. DEAN Knows has over a decade of specializing in Real Estate Technology. We currently offer our services to Real Estate Brokers, Teams and Agents. Let us bring your real estate business to the next level. Let DEAN Knows build your next Custom Website. We offer a variety of options all of which are fully mobile compatible and has basic SEO in place. Social Media has taken the world by storm. What is funding the most highly trafficked websites in the word...Social Media Advertising. Social Media Marketing is the single most cost effective vertical to advertise your business. Let DEAN Knows show you how. We offer direct IT Support for both Mac and PC's. Offering both remote and live support, we can get you back up and running quickly and for less than other companies.